Heidi White joined Elite Financial Network in 2013 as an Office Assistant. Heidi helps in various aspects of processing paperwork and following up with clients. 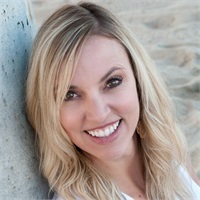 Heidi received her Bachelor of Art Degree in Sociology from California State University Long Beach, and has been licensed in Real Estate since 2008. Heidi currently resides in Huntington Beach, CA with her husband Steve and two daughters Skylar and Taylor .